They are a guild of the best hunters, that work for any one who can pay for their services. But above else they work for the three Merchant Kings. You can read the story bible for G3 here. But can Krekka get Nidhiki? The dark hunters are a guild of the deadliest, most dangerous, group of mercenaries, warriors and the occasional ex-criminal, with the goal being profit. They have connections in the black market and in Naho. The dark hunters work for the three Merchant Kings and who ever can pay for their services. 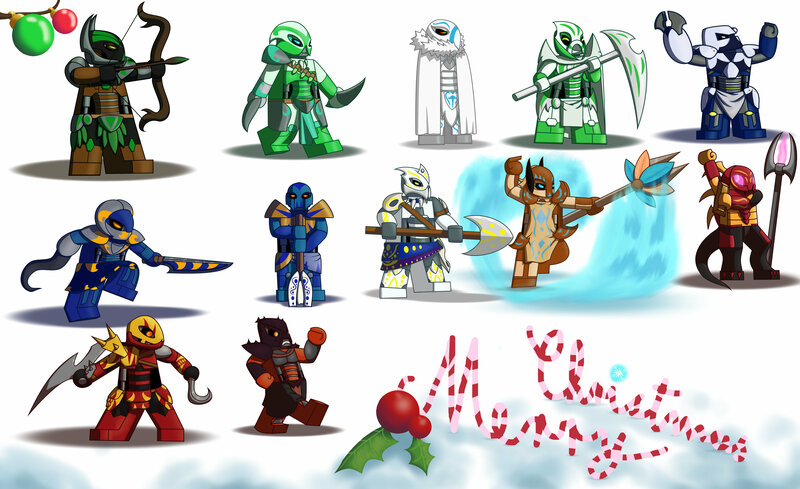 The only way they would fight the Toa is if someone would pay them to do so. This maybe a bit too much mad max, or not enough mad max. I been waiting to say that since November. Here's Sentrakh on his targets trail. Sentrakh was the leader of a band of criminals. When he met The Shadowed One. He challenged him to a fight, were The Shadowed One won. Imprest he joined him on his quest. 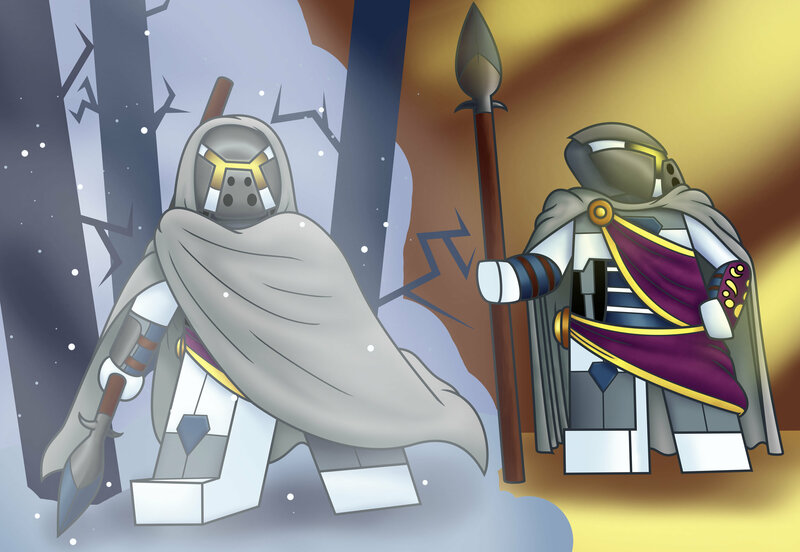 Him, The Shadowed One, "Ancient", "The Recorder" and "Darkness" created The Dark Hunters guild. Here's the drawing of the Nidhiki sketch. I used a different type of shading than my older paintings. I Have to personally say i liked this type of shading more. He's a mechanic and a blacksmith. He loves to tinker with machines. 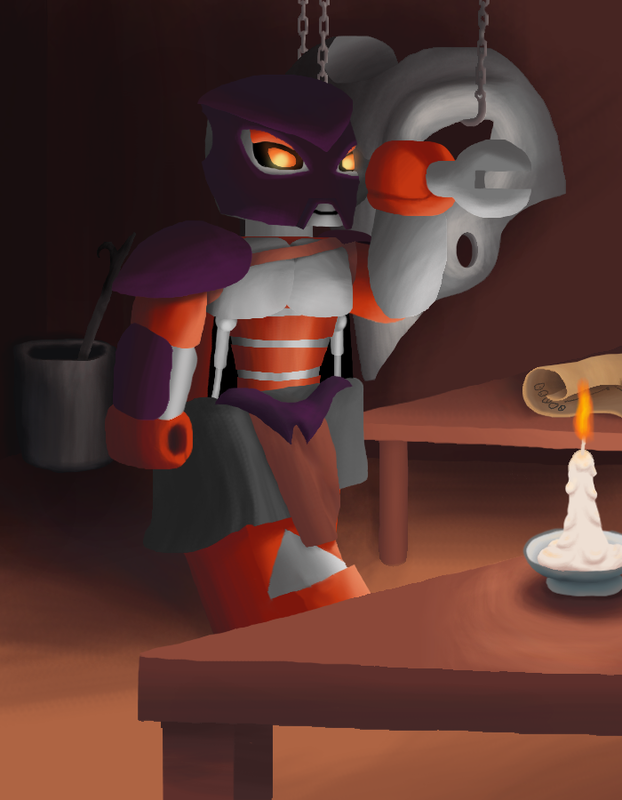 Although he's mechanic and a blacksmith he can still fight with surprisingly deadly efficiency. If he creates a new gadget, armor or weapon, he usually gives it to another dark hunter to tested. For both of them I went for a more traditional ninja design with the dark blue clothes, boms and abilities. I also made "Darkness" be the older brother of "Silence". BIOS: "Darkness" was saved by The Shadowed One from death. Thankful he joined The Shadowed One on his quest and helped him in the founding of The Dark Hunters guild. Years later his younger brother found him after 7 years of searching. After catching up, "Darkness" introduced his brother to the person who saved his life: The Shadowed One. The Shadowed One asked if he wanted to join the guild. Grateful to The Shadowed One for saving his older brothers life he happily accepted The Shadowed Ones offer. 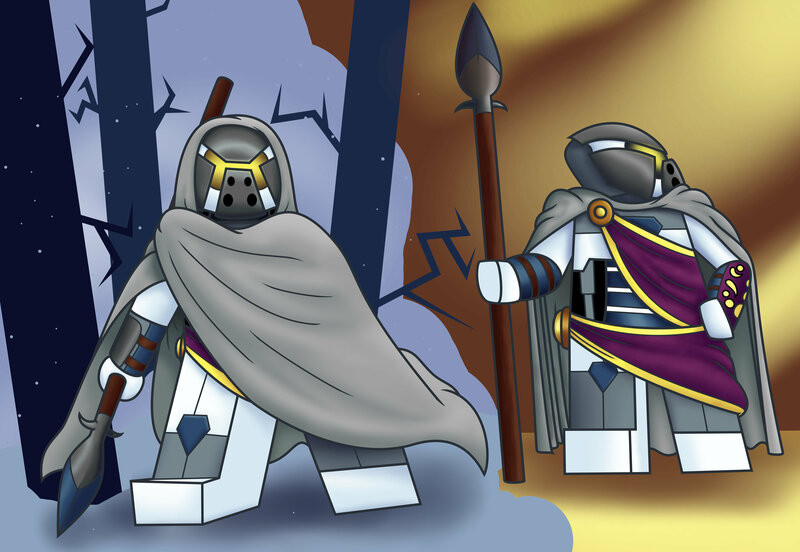 Now he is known as "Silence"
He is a calm, cool and collected and a loyal Matoran, who does his work quickly and efficiently. But when he is not working he will be reading, meditating, training or is hanging around with his younger brother. He's also a strict teacher. "Silence" is much more lively and social than his older brother, but becomes serious when needed. When working, he is almost as quick and efficient as "Darkness". 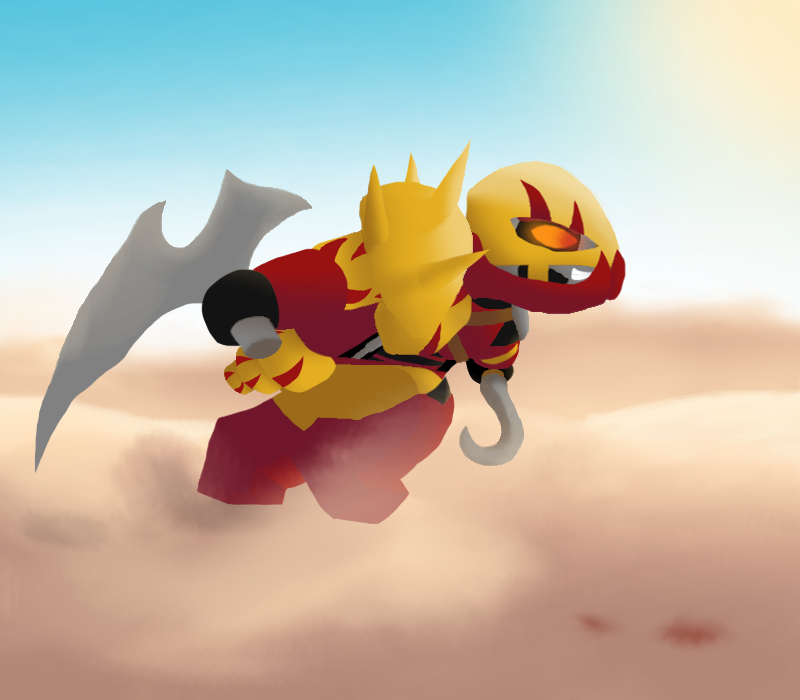 But when he's not working he likes to hang around public places and tries to impress Matoran women (He fails every time), trains or is hanging around with his older brother. "Silence" and "Darkness" both use stealth to do their jobs. But the difference between their style of killing is: "Darkness" uses fear and hit and hide tactics when killing his opponents, while "Silence" uses sneak attacks and distractions to kill his opponents. When it comes to equipment "Silence" and "Darkness" both use smoke bombs, shurikens and rope. But "Silence" also uses gunpowder, flash bangs and his twin kamas while "Darkness" has his blade, kunai and extra clothes for disguises. When it comes to abilities, well their both fire Matoren so they can control fire. 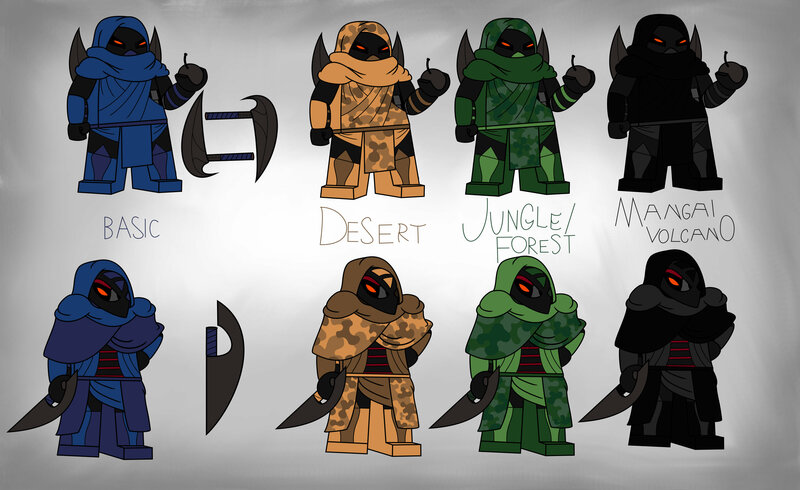 Here are all the dark hunters excluding "Silence" and "Darkness". Lariska in her of time likes gardening and she sells also the fruits, vegetables and flowers for some extra income on the side. It's also where se gets her poison. 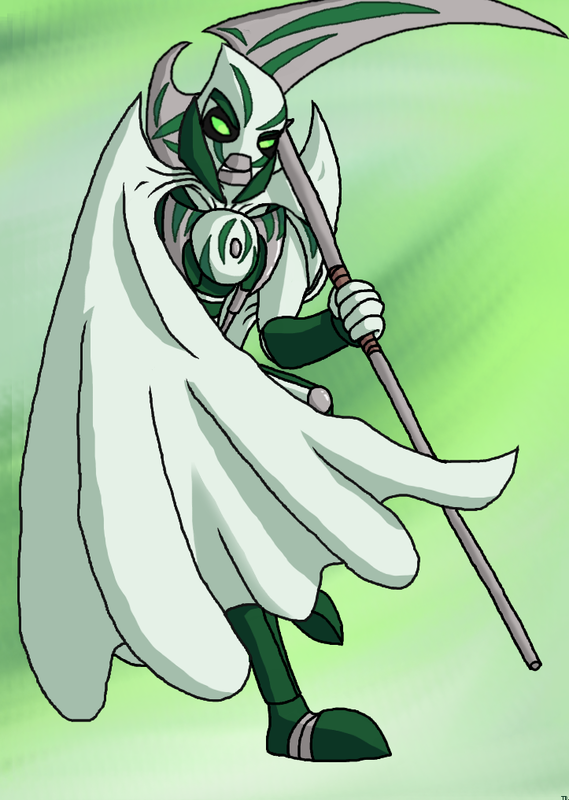 Sentrakh is the only dark hunter that does not use his code name, mostly because everyone is afraid of him (Except for The Shadowed One, "Primal", "Ancient", ''Amphibax'', "The Recorder" and "Darkness"). "Prototype" is completely terrified of Sentrak. Yes, "Tyrant" would jump and swim in a pool of money Scrooge McDuck style if given the opportunity. ''Amphibax'' is in hiding from the Arbiters. "Conjurer" is a street magician in his free time. "Ancient" visits his relatives in Nahoan on his days off. The Shadowed One is the one who gives out assignments to the other Dark Hunters. The assignments can be big things like assassinations, information gathering, bodyguard work, etc. to small things like killing pests, guard duty etc. Dark Hunters even got a babysitting job once. The Shadowed One gave the job to "Conjurer" and "Vanisher"...... They came back tired, covered in paint, food, and some unknown liquid and "Conjurer" also had a broken arm. Krekka is older than Nidhiki. Krekka has short-term memory loss from years of getting hit in the head by his opponents. Nidhiki has to constantly remind Krekka of their current mission. Heh, those are quite fun little bits. This is an good Christmas gift. I wish I could remember who is who on the drawing. The small lore tidbits made me smile. Thank you very much. I'm very happy that i made anybody happy. Happy new year to all. I wish you all a lot of happiness and health in 2019. "Vanisher" just appeared from nowhere. No one knows where exactly he came from or who he is, and yes The Dark Hunters did see his face and tried to identify him, but no luck. ''He would be fun to hunt down.'' Looks at a empty spot on his trophy wall.